Two of Emory University’s most distinguished and dedicated graduates will receive the university’s highest alumni honor, the Emory Medal, Nov. 12 in a special ceremony on the Emory campus. The 2013 Emory Medals will be awarded to Joan Houston Hall, chief editor of the "Dictionary of American Regional English," a 50-year research effort into the complexities of American language; and Georgia business executive, Emory trustee and community leader Walter M. "Sonny" Deriso Jr., who chaired the university's recently completed $1.6 billion Campaign Emory. “The Emory Medal is the highest alumni award given by Emory University and, as such, recognizes alumni who represent the very best of Emory,” says Martha Fagan, senior director of the Emory Alumni Association (EAA). Medalists typically are recognized for their accomplishments in at least one of the following areas: Distinguished service to Emory, the EAA, or a constituent alumni association; achievement of the highest distinction in a field of learning, the arts, the professions, or public and community service; or other compelling reasons, Fagan says. 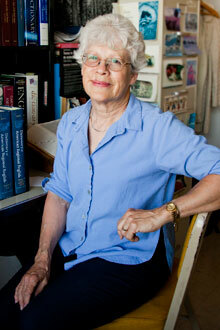 As chief editor of the "Dictionary of American Regional English," Hall is the consummate research scientist who has managed federal and private grants of more than $11 million for what has been called “one of the most significant humanities projects in the United States.” She earned two degrees from Emory: a graduate degree in 1971 and her Ph.D. in 1976. Her project’s patrons include the National Endowment for the Humanities, the National Science Foundation, the Andrew W. Mellon Foundation, the New York Times Company Foundation, the Carnegie Corporation of New York, and many other foundations as well as hundreds of individuals across the nation. The new digital edition (Harvard University Press, 2013) will allow readers to look up the meanings of local American words and phrases from "Adam’s housecat" to zydeco. In addition to her extensive editorial work, Hall has served as president of the American Dialect Society and the Dictionary Society of North America. She has been designated a Fellow of the Dictionary Society of North America, and she was recently granted an Honorary Doctorate of Humane Letters by her undergraduate school, The College of Idaho. She serves as Distinguished Scientist at the University of Wisconsin-Madison, where she has received the Chancellor’s Award for Excellence in Research. As well as publishing widely, she is a frequent lecturer and a guest on radio programs across the country. Hall has been internationally recognized for her work on DARE, “The greatest achievement in American lexicography in the past 50 years,” according to the journal American Speech. In her nominations, she has been hailed as a prototype for the American “public intellectual,” and has been lauded for making her scholarship readily accessible to the public via widely acclaimed printed volumes and a user-friendly website. Walter M. "Sonny" Deriso Jr.
Deriso began his service to Emory while attending Emory College. He was the first president of the Student Government Association, and was elected to both Omicron Delta Kappa and the D.V.S. Senior Honor Society. At graduation he received the Marion Luther Brittain Service Award, Emory's highest student honor. As a student at Emory Law, he served as student writing editor of the Journal of Public Law, and received his juris doctorate with distinction upon graduation in 1972. He received his bachelor's degree from Emory in 1968. Deriso was elected in 2002 as an alumni trustee to the Emory Board of Trustees, and now serves as a term trustee. He also serves as chair of the advisory board of the Center for Ethics at Emory. He served as chairman of Campaign Emory in leading the university to exceed a campaign goal of $1.6 billion, which was announced publicly in September 2008 and concluded in 2012. Deriso was a practicing attorney in Albany, Ga., from 1972-1991. In 1991 he became president of Security Bank and Trust Company of Albany, a Synovus bank; and in 1997 he was elected vice-chairman of the board of Synovus Financial Corp., a role in which he served until 2005 when he retired from Synovus. 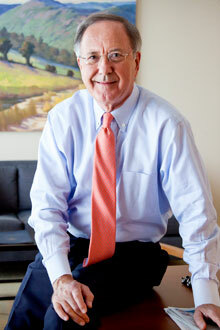 In 2006 he became founding chairman of Atlantic Capital Bancshares, Inc., and led this bank holding company in raising more than $125 Million in capital. He serves as chairman of the board of Atlantic Capital Bancshares, Inc., and Atlantic Capital Bank. He also serves as chairman of the board of Georgia Regional Transportation Authority; is a member of the board of directors of the Georgia Chamber of Commerce; is a member of the Rotary Club of Atlanta (where he received the Ivan Allen Club Service Award); and is chairman of the board of the Foundation of the Methodist Home for Children and Youth of the South Georgia Conference of the United Methodist Church.